Overview: The race is on... The cars are lining up on the grid... See if you can boost your winnings and go into Overdrive! WIN UP TO 7,000 COINS WITH THIS CLASSIC SLOT FEATURING 1 COIN, 3 PAYLINES AND A WILD. 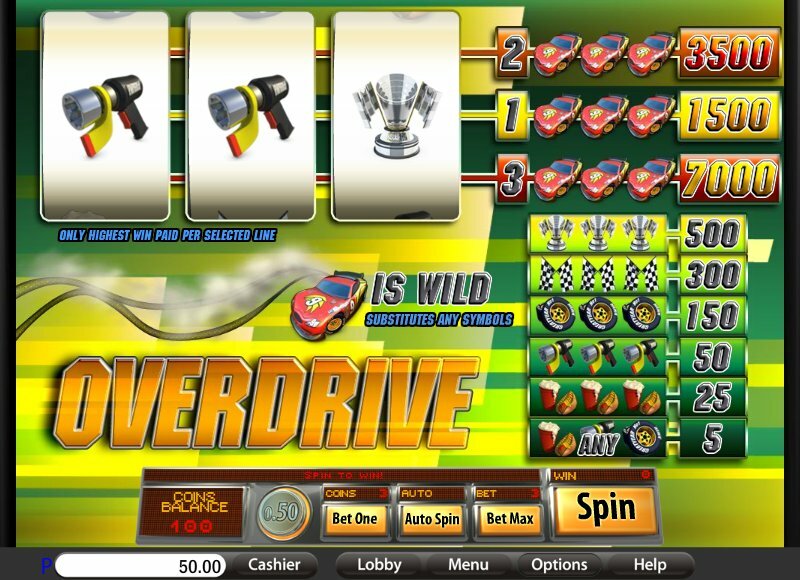 Similar Slots: If you like Overdrive, you might like these other slot machines from Saucify: Dream Wheel - Progressive, Mermaid Serenade, Pina Nevada, Scorching Sevens, Stars 'N Stripes 777, Wild Berry.